Sunday’s afternoon lunch meet up with my great “brother” in Singapore. I met up with my friend who treated each other like brother and sister after a short chat in FB messenger whereby I told him about an IT event on-going. We met up at Raffles Place MRT where it was most convenient place for both of us to meet up, as I was coming down from the East and he was taking the Red line from the North. 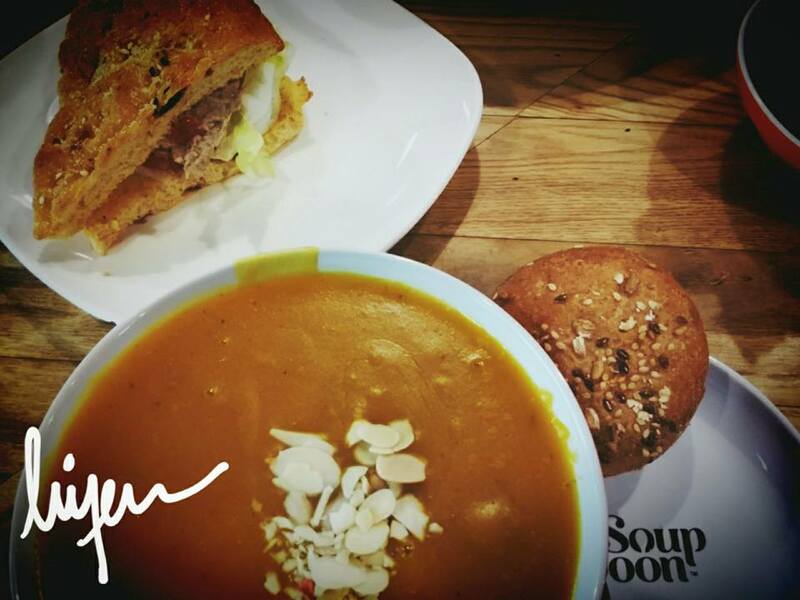 Before that, I purchased the Groupon’s voucher of SGD$20.00 worth of value which we can order two sets of soups and we saved about few dollars each person. It is always good to check out the great deals online before we head off to the restaurant. I ordered the roasted pumpkin soup with a tuna mayo bread. It is one of their set with bread. Instead of bread, you can choose to have sets with salad too. 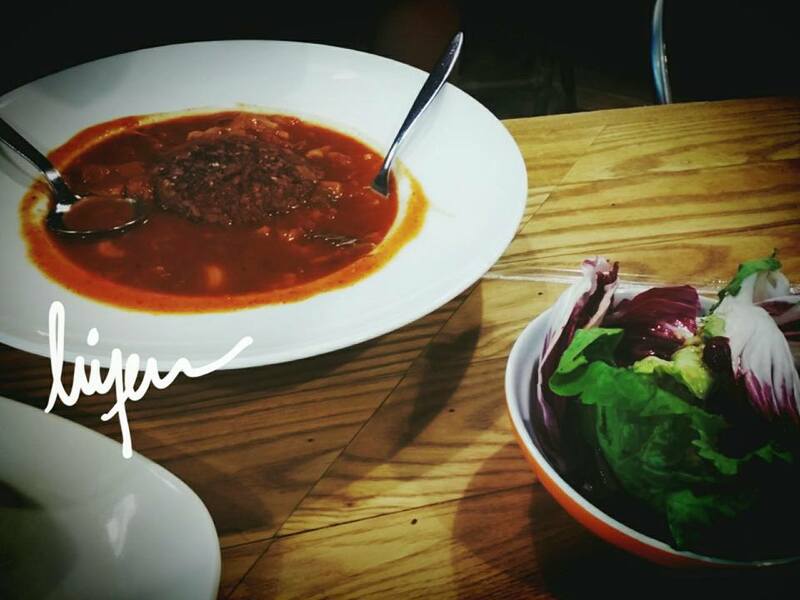 My friend chose to eat the minestrone soup with salad. The portion of our food is quite big portion which comes with bread, salad and rice. Besides that, the set meal comes with a drink of your choice too. The pumpkin is rich source of minerals like copper, calcium, potassium and phosphorus. Pumpkin seeds indeed are an excellent source of dietary fiber and mono-unsaturated fatty acids, which are good for heart health. That day, I was still having the cough and flu. 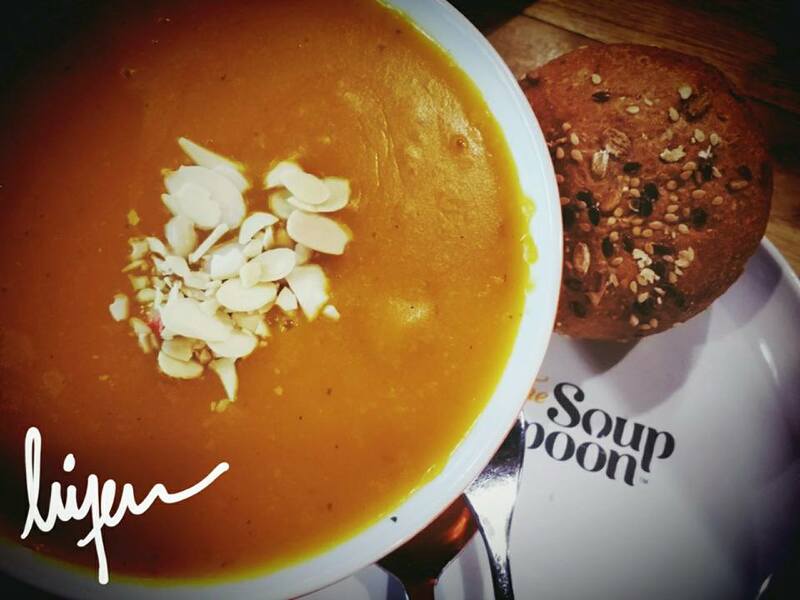 After having the pumpkin soup and hot black tea, my flu was getting better than the days before. It is an healthy meal of the day with great set meal offer which I see its benefits more than other things.